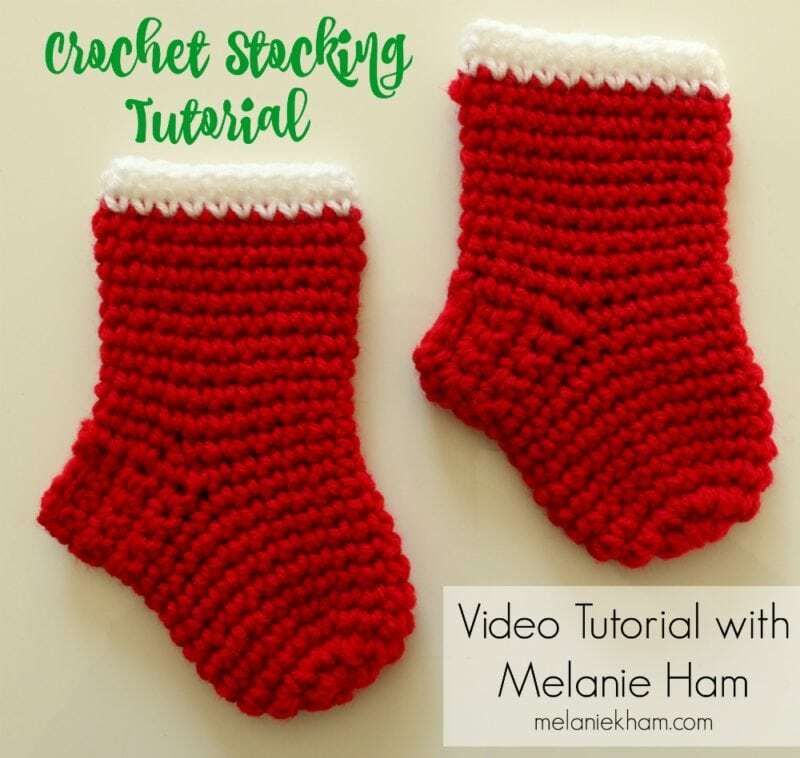 Today on the Monday live video I decided to crochet a stocking for you! We did it live together and it was super fun – I wish I could say I was super organized and had the written instructions ready for you when I started the live video, but turns out I finished my sample stocking about 5 minutes before it was time to get on video – so it’s 10:30 pm, the house is quiet and I am able to write it down for you now! Many of you have asked for a YouTube video version, so check back here in a few days for that. In the meantime I will include the full live video. Let’s make this crochet Christmas Stocking! Round 2: 2sc in each stitch for a total of 20 sc stitches, slip stitch to close round, ch 1. 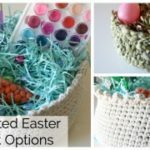 Place a stitch marker here if you have trouble counting the rounds. Round 3- Round 10: 1 sc in each stitch going all the way around * If you are using Red Heart Super Saver or similar worsted weight yarn that uses an I hook, you may stop one round less than this because your stocking will turn out slightly smaller. sc 10, ch 1 and turn, sc back across (10 sc stitches) ch 1 and turn. 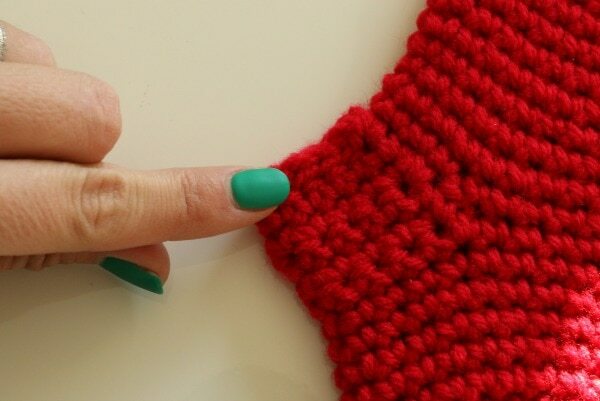 Repeat for 5 rows to create a little “rectangle” jetting off of the toe portion of the stocking. 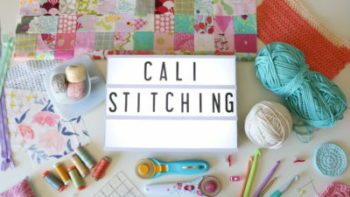 Fold the 10 sc part in half and slip stitch together to create the heel. Attach yarn at the heel, sc in each stitch all the way around to create the “tube” part of the stocking. Continue stitching for 12 rounds, switch to white for round 13 and 14 if desired. Here is the live video from Facebook. YouTube version coming soon. 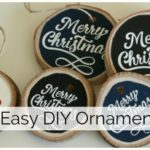 Looking for other quick holiday decor DIY’s? Check out my Pom Pom Snowman! Loved your video. 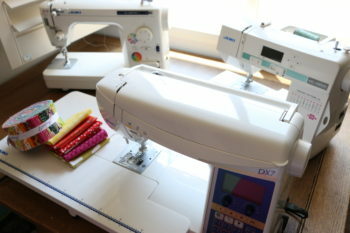 Couldn’t wait for the written instructions, took notes from the video and made 5 of these cuties already. 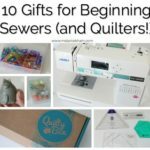 Found this tutorial while looking for the video to share with an interested friend. Thanks and Merry Christmas. Hello. 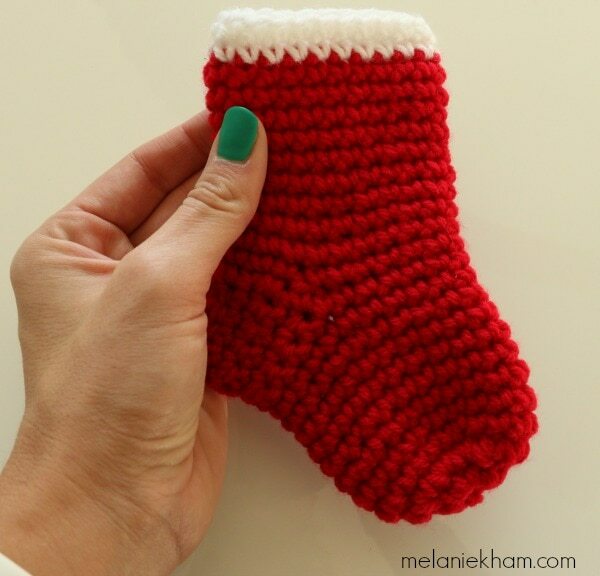 I just love this mini stocking! I already made 2 of them 🙂 I am wondering if you have a pattern to make a full size stockings? 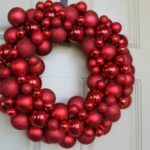 No, I didn’t have time to work out that pattern – next year!